Jennifer Rumsey, vice president of engineering for Cummins' engine business, is replacing Dr. John Wall as chief technical officer as the company begins production of its new ISV5.0 diesel. Dr. John Wall, vice president – chief technical officer, will be retiring after nearly 30 years with the company. Dr. Wall has been at the centre of many pivotal moments and initiatives in Cummins' history over the past quarter century. Rumsey, a native of Columbus, Indiana, takes Dr. Wall's place at a critical time in the history of Cummins. She is the first woman to serve as the company's top technical leader and takes the hot seat just as the company is launching its new and important ISV5.0 5-litre V8 engine into production. This is Cummins first production diesel engine to feature a compacted graphite iron (CGI) cylinder block and as such marks a milestone for the company. Cummins has outpaced General Motors in producing a medium-sized pick-up diesel with a CGI vee block. Although Cummins engineers have studied CGI material in great depth for a number of years, the ISV5.0, set to go in the Nissan Titan pick-up truck and possibly other North American-built pickups, could set a benchmark for the industry. Nissan notes that when the turbocharged V8 engine appears in the 2016 Titan XD it will be rated at 310 bhp and 555 left torque, somewhat higher ratings than those offered by Cummins. Rumsey received a Bachelor of Science degree in Mechanical Engineering with highest honours from Purdue University in 1996 and a Master of Science degree in Mechanical Engineering with a National Science Foundation Fellowship from the Massachusetts Institute of Technology in 1998. She led controls engineering in a fuel cell start-up company in Cambridge, Massachusetts, before joining Cummins. Rumsey joined Cummins in 2000 and just a year ago succeeded Steve Charlton as the engineering leader of the engine business unit, the largest business segment at the company. 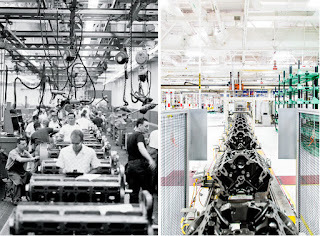 According to Fortune, 17 per cent of the workforce of Columbus, Indiana is employed by Cummins which employs 56,000 in all. In 2014 Cummins enjoyed profits of $1.65 billion from revenues of $19.2 billion. Over the course of her career with Cummins, Rumsey has worked in various roles across the engine and components businesses, including advanced technology development, new product development and current product engineering. Rumsey's leadership has been instrumental in the development of Cummins' most advanced automotive and industrial engines, in the successful launch and support of the company's new engines in China and in developing the engine business strategy for Cummins' newest global technical centre in India. 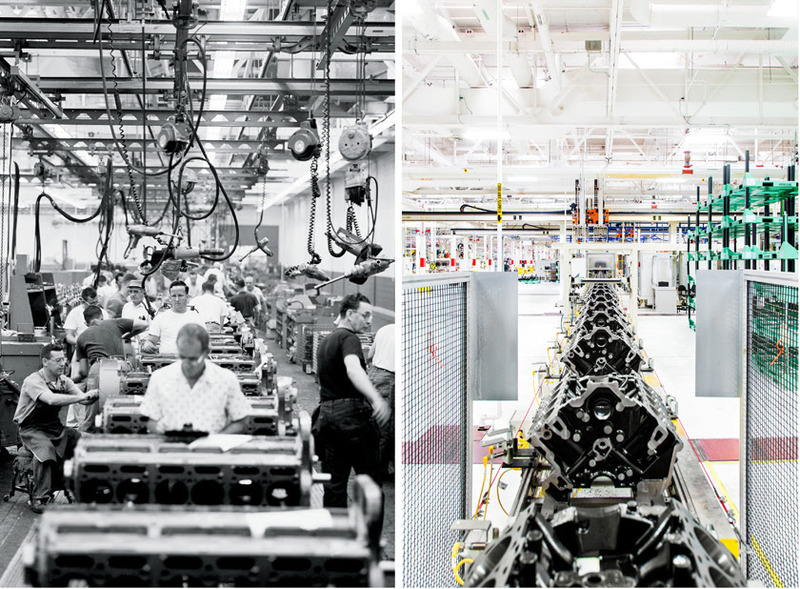 Under Dr. Wall's leadership, diesel engine emissions technology has advanced significantly at Cummins, evolving into a key competitive advantage. Dr. Wall has been personally involved in developing the most critical emission control technologies and integrating them into the company's products. He has also played a key role in the transformation of Cummins’ technical function taking it from approximately 1,000 engineers primarily based in Columbus, Indiana, to a global organization with the collective talents of more than 6,000 engineers located around the world, including technical centres in India, China and Brazil. Known for his ability to easily explain complex technical concepts and ideas, Dr. Wall believes strongly in working with regulators to develop standards that are tough, clear and enforceable. He is also a leading voice for action on climate change. "We are, of course, happy for John and excited about what the future might hold for someone with his energy and passion," said chairman and chief executive officer Tom Linebarger and Rich Freeland, the company's president and chief operating officer, in a joint statement. "We are fortunate to have someone with Jennifer's expertise to take his place," they added. "She has successfully worked across business units and regional boundaries and we have no doubt that Jennifer will continue John's legacy of innovation and superior results." "I am honoured for the opportunity to continue John Wall's legacy of innovation leadership at Cummins," said Rumsey. "I look forward to building on his successes and taking Cummins' technical organization to the next level by focusing on customer-driven innovation, global integration and our brand promise of dependability." The new ISV5.0 5-litre V8 diesel engine is designed to power pickup-and-delivery vehicles, other light- and medium-duty trucks, school buses and motorhomes. “The ISV5.0 represents the next dimension in fuel economy and performance as Cummins continues to broaden our on-highway product line,” said Dave Crompton, Cummins vice president and general manager - engine business, said at the time of the engine’s launch. The ISV5.0 has been designed to fit easily where a comparable V8 or V10 gasoline engine was previously used. The ISV5.0 brings together a compacted graphite iron (CGI) cylinder block, forged steel crankshaft, high-strength aluminium alloy heads and composite valve covers to offer maximum durability in a lightweight package. These features, along with dual overhead camshafts, also reduce noise, vibration and harshness. According to Cummins, engine technology produces better fuel efficiency and reduced emissions. With multiple injection events driven by integrated electronic controls, the ISV5.0’s fuel system and Cummins VGT variable geometry turbocharger contribute to a peak torque of 560 lbft and quick throttle response. Ratings from 200 bhp (149 kW) to 275 bhp (205 kW) are available. Interestingly, the ISV5.0 is quite conservatively rated (in common with Cummins' practice) when compared with Ford's 6.7-litre PowerStroke engine which also has a CGI cylinder block. The engine in Ford's 2016 F-Series Super Duty pick-up truck gives 440 bhp and 860 lbft torque, equivalent to 65.6 bhp/litre and 128 lbft/litre. The ISV5.0 in the Tital XD offers 62 bhp/litre and 110 lbft/litre. The 6.7-litre Scorpion is built at Ford's Chihuahua Engine Plant, Mexico.